4755 Holdsworth Dr has a Walk Score of 19 out of 100. This location is a Car-Dependent neighborhood so almost all errands require a car. 3/2 Gorgeous Home in Grand Oaks. Stunning and spacious living room that offers cathedral ceilings with an abundance of natural lighting. Beautiful kitchen is a culinary delight with additional storage in the closet pantry, breakfast bar, granite counter tops and gas appliances. All wet areas offer beautiful tile flooring. Enormous master bedroom with its own bathroom that includes dual vanities and highly desirable walk in closet. Spacious remaining bedrooms share a hallway bathroom. Lawn care included in rent. 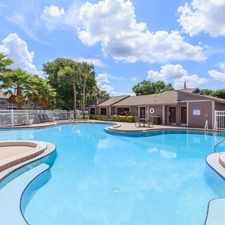 Fully equipped amenities center located across the street featuring a community pool and spa, playground, basketball court and clubhouse that adds to the continued charm of this community. Short commute to I-75, shopping and restaurants, dont blink or it will be gone! Tenant Occupied, 24 hr Notice Required. Available 04/10/2019. Explore how far you can travel by car, bus, bike and foot from 4755 Holdsworth Dr.